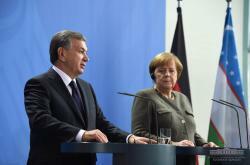 President of Uzbekistan Shavkat Mirziyoyev and German Federal Chancellor Angela Merkel signed nine intergovernmental and interdepartmental documents in the fields of economics, trade, finance, education, science and innovation during the meeting. 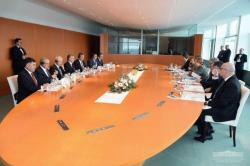 The meeting focused on the trade development, economic, investment and technological cooperation. 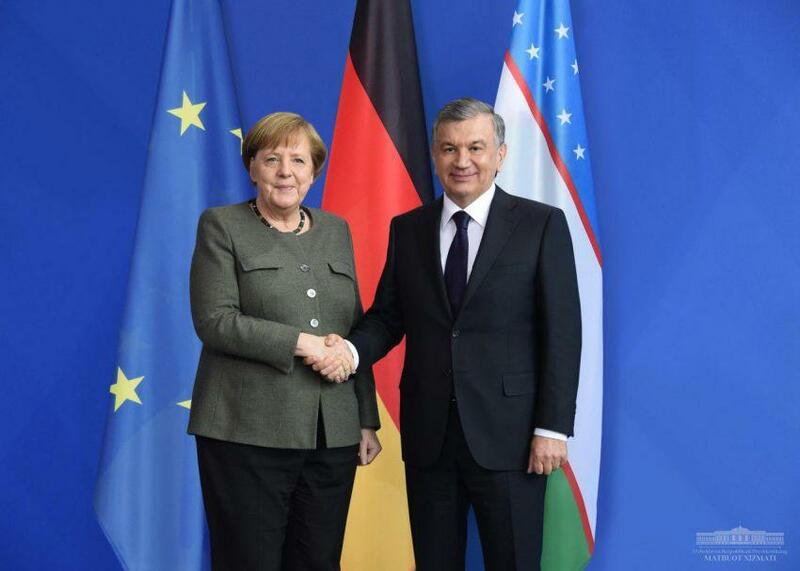 Mirziyoyev stressed that Uzbekistan sees Germany as one of the key partners in technology and investment, as a world power with huge economic potential. The parties, noting the dynamic expansion of bilateral trade, which amounted to more than 700 million euros, stressed the presence of all the possibilities for growth of this indicator to 1 billion euros. Today, as many as 132 enterprises with the participation of investors from Germany, including 33 enterprises with 100 percent German capital, representative offices of 31 firms and companies, operate in Uzbekistan. 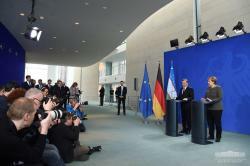 The National Bank of Uzbekistan has established correspondent relations with 57 German banks. The branch of Deutsche Bank operates in Tashkent. The parties considered the issues of human rights protection, as well as environmental protection. 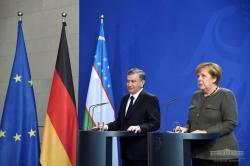 The head of Uzbekistan thanked the German government for assistance in overcoming the negative effects of the Aral disaster, calling for the active participation of Berlin in the activities of the multi-partner Trust Fund for the Aral Sea region. "The meeting touched upon the topic of cooperation in the field of security, including taking into account the Afghan problem. The need for its peaceful settlement with the participation of all parties to the conflict and under the leadership of the Afghans themselves was stressed," said the press service of Uzbek President. During the meeting, the sides emphasized the importance of developing cooperation in the field of science and education, expanding cultural ties and tourist exchanges. "More than 8,000 ethnic Germans live in Uzbekistan, who have created the conditions for the development of national culture and traditions. Over 400,000 students study the German language in the country. Recently schools in Tashkent, Samarkand and Bukhara have been named after great scientists and thinkers of German culture", noted in the press service. The parties expressed their willingness to expand investment and technology cooperation. On the eve of the Mirziyoyev visit, a business forum was successfully held, following which agreements were reached on the implementation of new projects worth over 8 billion euros, work continues on other agreements.